Is it Friday yet? Then again, does it need to be Friday for us to enjoy a refreshing, bubbly, ever-so-slightly sweet mocktail? Not at all. :) Mocktails are for enjoying anytime! And this is one of our faves. But this one is straight magic. ✨ Seriously. When we made this ourselves we were thinking, no added sugars? No syrups? No sweeteners? Where's the fun in that?! If you check out any mocktail/cocktail recipe online, they're all filled to the brim with added sugars. Now, don't get us wrong — there's a time and a place for those (maybe? 🤔). But for the everyday happy hour, the less added sugar, the better. Bring on our über, ultra low carb raspberry mocktail. What's so special about this one? It tastes like summer garden fresh with a fizzy finish :) What's more, it (basically) has no carbs. That's where the magic comes in. Using the perfect La Croix and fresh berry combo, this drink has the subtlest hint of sweetness to it that won't spike blood sugar. Some might even say it's nutritious. A healthy mocktail?! Yep, we went there. The cherry [more like, raspberry] on top - this sweet thing takes all of 5 minutes to make and serve. Check out the video below to see how it's done! 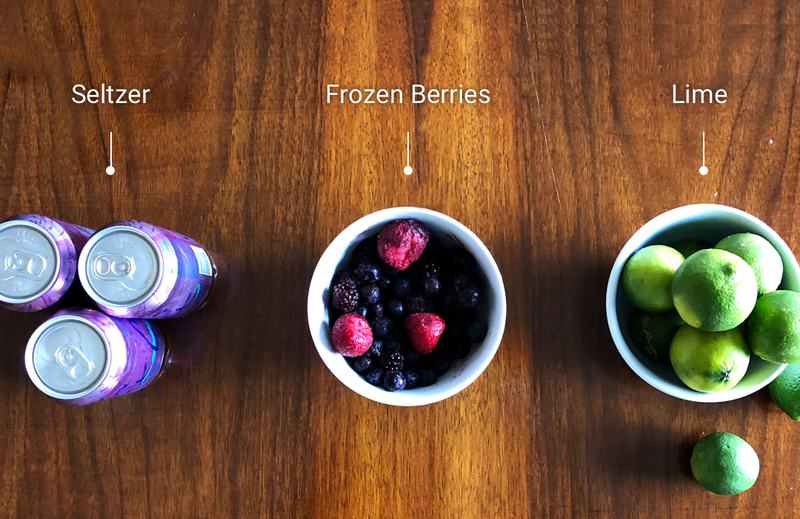 💡PRO-TIP: freeze your berries ahead of time to get the chill without the ice! Slice 1 lime in half. In your blender, add your bowl of raspberries, 1 can of Berry La Croix, and squeeze your two lime halves until all lime juice is in the blender. Blend (and snap!) until smooth. When ready to serve, add to glasses. With your second can of La Croix, top off your mocktail as desired. Slice your additional lime and add as garnish. If more chill is needed, add ice cubes.